Born in Mexico City, Mexico. Admitted is 2002. Educated at Universidad Iberoamericana (JD) and Harvard Law School (LLM 2006). Conducted postgraduate studies in international financial law at the Universidad Panamericana. Worked as foreign associate in the New York office of Sidley Austin, LLP (2007) and is a member of the New York Bar. 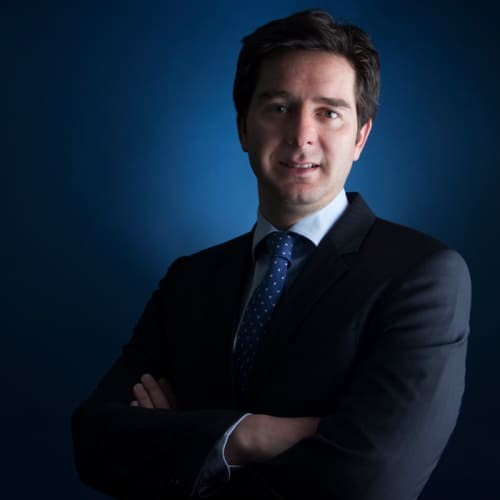 Mr Castelazo specialises in banking and finance, bankruptcy and restructuring, capital markets and private equity. He advises a wide array of clients in complex capital markets and structured finance transactions, as well as in restructuring processes in Mexico. He has worked on some of the most innovative financial transactions in Mexico, including the first ever co-investment fund the largest public offering of equity development certificates (CKDs) to date, three of the largest real estate investments trust (FIBRA) IPOs in Mexico. Mr Castelazo has been very active in the Mexican private equity market by advising Mexican and international sponsors in establishing their respective Mexican CKD funds through public listings of CKDs in Mexico.